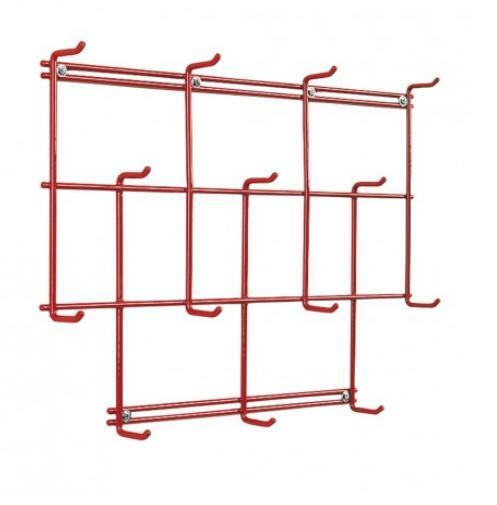 The Stubbs Thingummy Rack is perfect for both the house and tack room. The unusual rack has 14 hanging points for everything from coats to keys. Screw to the wall through thin bars top and bottom. Stubbyfine coated steel. There are currently no questions for Stubbs Thingummy Rack - be the first to ask one!